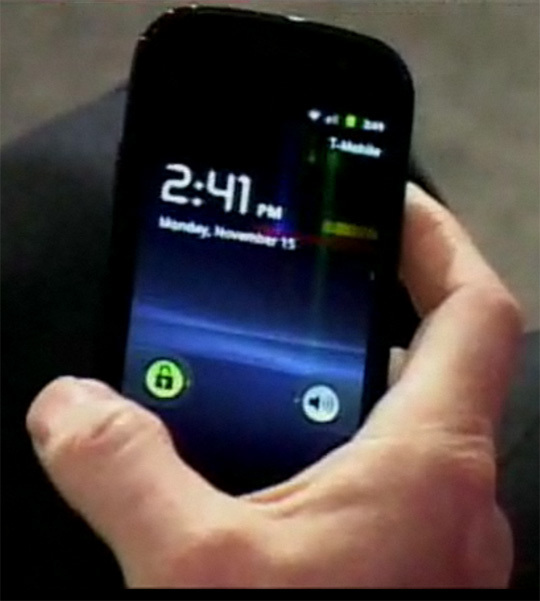 Samsung Hints the Unveiling of the Nexus S with WiFi Calling, Next Week? 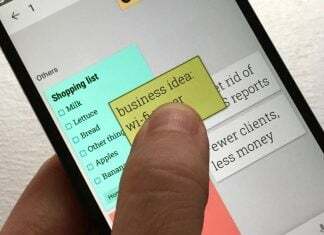 Since Eric Schmidt’s showing off of his shiny little Nexus S at the Web 2.0 Summit last month, rumors have circled as to what sort of new functionalities it would possess. Schmidt showed the on-board NFC (Near Field Communication) chip in action and talked about its possible future use in the world of making payments via phone. However, he didn’t really “dive” into anything juicier (you’ll understand the pun, shortly). Today, in a Samsung press release about their upcoming NFC chip production, the company may have hinted at a bit more than it realized. The press release states that the NFC chip will allow a phone to “instantly establish a wireless peer-to-peer connection and directly handover to Bluetooth and/or WiFi connection for fast, convenient data transmission.” If I didn’t know any better, I’d say this sounds like it could be perfect for WiFi calling. It’s possible that this sort of technology could allow for a seamless hand-off when moving from WiFi to cell tower, and vice versa. “Samsung’s new NFC chip is scheduled for mass production in the first quarter of 2011. We all know that Gingerbread release rumors are swirling around Andy Rubin’s December 6th appearance at D: Dive Into Mobile (see how the pun came full circle?). Armed with the above knowledge that Samsung will showcase their NFC solution (most likely the Nexus S) on December 7th, it would seem almost impossible for Rubin not to unveil the phone and OS to the world on the 6th. Otherwise, how could Samsung show it off to the public? It’s highly unlikely that they’d show people Gingerbread before Google does. In addition, Sammy’s assurance that they’re going to ramp up mass production of these chips in Q1 2011 aligns nicely with possible Nexus S release dates. How does early January sound? It seems pretty likely if you ask me. Who knows? It may even come sooner. SEOUL, South Korea–(BUSINESS WIRE)–Samsung Electronics Co., Ltd., a world leader in advanced semiconductor solutions, announced today a new near field communications (NFC) chip with embedded flash memory. Leveraging a low power design and advanced RF sensitivity, Samsung’s latest chip offers designers a competitive choice for next-generation smart phones with NFC capabilities. NFC enabled devices can instantly establish a wireless peer-to-peer connection and directly handover to Bluetooth and/or WiFi connection for fast, convenient data transmission. NFC is a short-range (up to 10cm or 4inches), high frequency wireless communication technology which allows devices such as smart phones to collect or transmit data to another NFC-enabled device without manual configuration to identify devices. In addition, NFC chip can play a role as a contactless smartcard in use for public transportation payments for bus and subway fares and mobile banking payments. It can also read RFID tags in retail stores or on outdoor billboards for convenient on-the-spot data access. By leveraging its extensive experience in low power design, Samsung developed this NFC chip to have minimal power consumption in both active and stand-by mode. With a 20 percent decrease in power consumption, Samsung’s NFC chip remains active for mobile payment even without battery power. Samsung’s new NFC chip is the industry’s first to adopt flash for the embedded memory which allows device designers to easily to upgrade software or firmware. For seamless integration and customer design efficiencies, Samsung also provides a software protocol stack and technology services for antenna design and tuning. Through such features and support, designers can reduce their product’s time–to-market. According to market research firm, IMS Research, the mobile phone market is forecast to grow from 1.4 billion units in 2011 to 1.8 billion units in 2015 at a compound annual growth rate of seven percent. In 2011, NFC-enabled phone models are expected to gain pace and the ratio of mobile phones with NFC capabilities is expected to reach 26 percent in 2015. Samsung’s new NFC chip is scheduled for mass production in the first quarter of 2011. Samsung’s new NFC solution will be displayed at the CARTES 2010 from December 7th through 9th at the Samsung booth 3C 035 in Hall 3 at Paris-Nord Villepinte Exhibition Center.